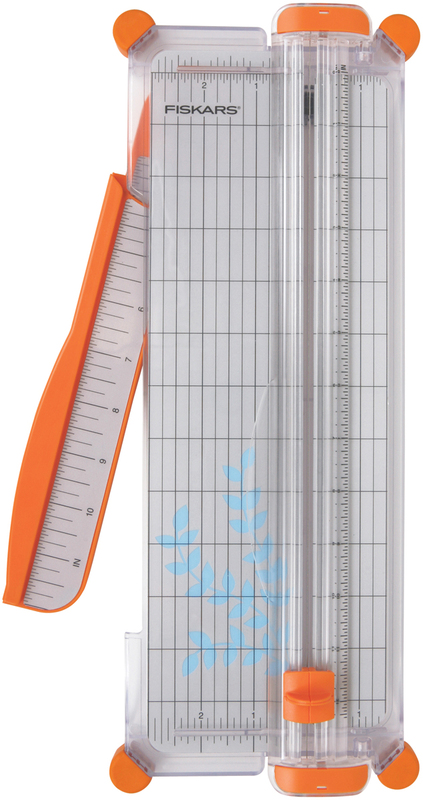 FISKARS-SureCut Paper Trimmer. Fiskars patent pending SureCut wire cut-lin allows you to see the cut before you make it to ensure perfect placement and results. It features the Triple Track rail system, a swing-out arm for extended measurements, a permanent grid, rubberized feet to keep the trimmer in place, and it is lightweight and portable for scrapping and cardmaking on the go! This package contains one paper trimmer (15x5-3/4x1 inch) and two cutting blades. Caution: blades are extremely sharp. Handle with care. Imported.